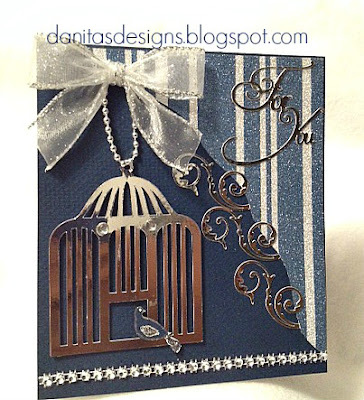 Danita, I love your beautiful birdcage and card!!! LOVE IT!!! Your 3D birdcage and card are both beautiful! 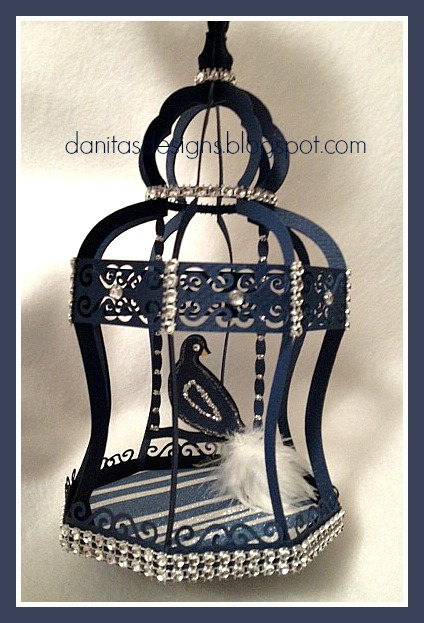 Very elegant Danita - love it! Love the bird cage and card, beautiful. Wow This rocks Danita. 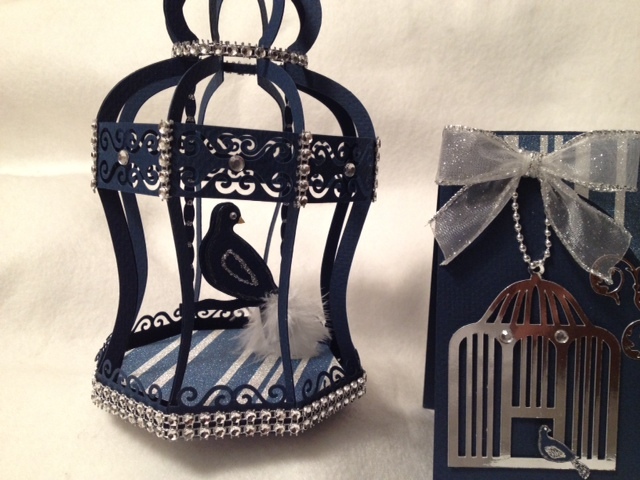 Love the birdcage and the card!Awesome work! 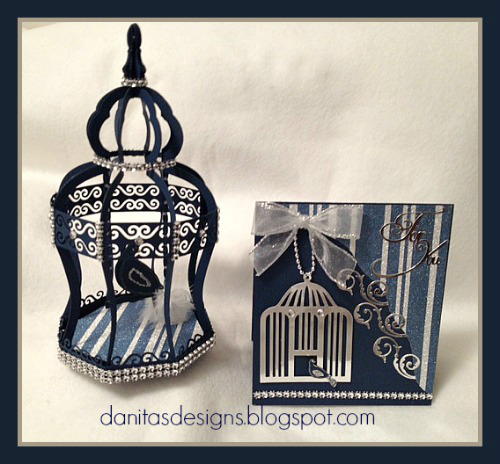 Wow, I have this birdcage file and have yet to use it. Looks so cool, especially how you jazzed it up.